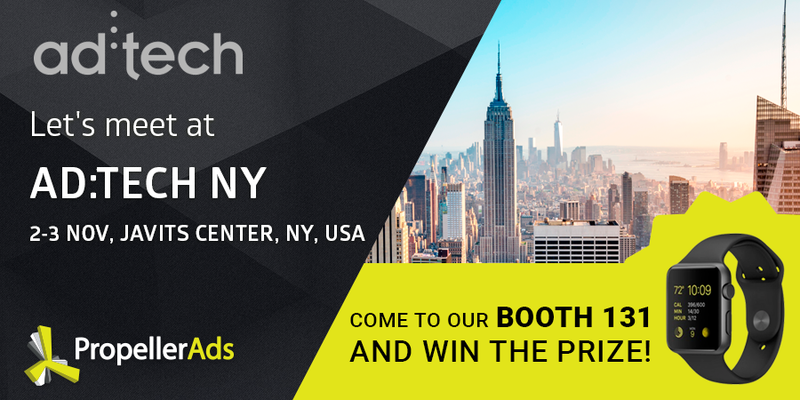 Our team is coming to Ad:tech New York 2016. Ready to join us? We’ve prepared a special surprise for you. Show up at our Booth #131 and get a chance to win Apple Watch Sport 42mm! Want to be the lucky visitor? Sсhedule an appointment with our team. See you in New York November 2-3, 2016! For a complete schedule, tickets and registration details please visit the official website of the event.